Saint Louis, MO—June 13, 2013—A vineyard goes through many growing seasons, each of which are essential to the final product. There is planting, training, growing, thinning, pruning, and harvesting; and according to vinedresser Cindy Steinbeck, these seasons of growing are an excellent mirror for the way that a Christian grows spiritually. Steinbeck is the author of Concordia Publishing House’s new Bible study The Vine Speaks. She is also the owner of Steinbeck Wines, a vineyard in Paso Robles, California that grows over 300,000 grapevines. In The Vine Speaks, Steinbeck uses the imagery and metaphor of the vineyard that she knows so well. By weaving this imagery into her own personal stories, the author explores how Christ works in us by providing experiences that grow faith. The conversational style of the Bible study provides a warm and inviting resource, especially when Steinbeck shares personal stories about her faith journey, the burden of guilt, divorce, and more. It draws deeply from the Word of Christ and brings encouragement to help readers grow in their understanding of God’s calling. 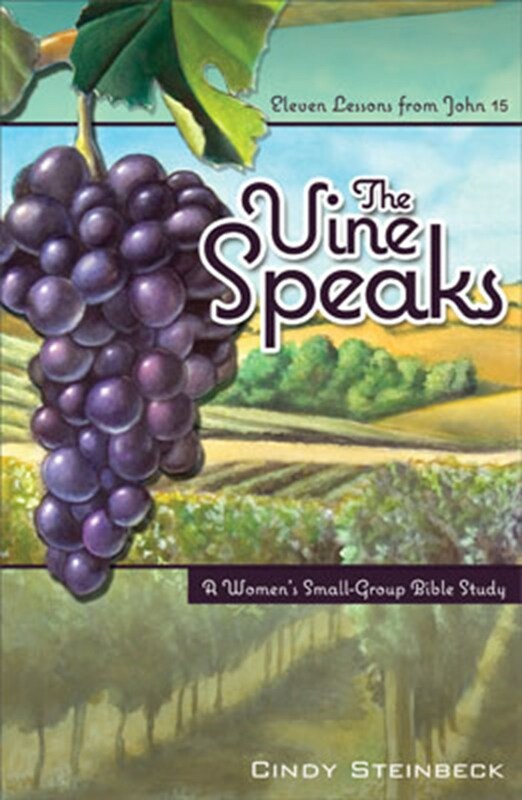 The Vine Speaks is great for individual and group Bible study, and features eleven instructional sessions. To order your copy today, visit cph.org or call 1-800-325-3040.